We’re lucky to have four fabulous summer interns with us at Folger Education—not just because they’re working hard to support our gazillion projects, but because they’re making sharp observations about their time here and the future of teaching and learning. We thought you should hear what they have to say, so we asked them some big questions and are sharing their responses. Q. When did the Shakespeare bug bite you? Q. What is the coolest thing you’ve seen or done so far at the Folger? Q. What’s one thing you want your peers to know about the Folger? Q. What’s one big way you expect your generation to contribute to the teaching and learning of Shakespeare? Check back later for more insights from these engaged young people! Jareema Hylton serves as the Teaching Shakespeare Intern. Currently, she assists in organizing the Summer Academy 2015, gathering school data, and conducting research in the Folger’s digital archives. She is a senior honors English major at Swarthmore College. 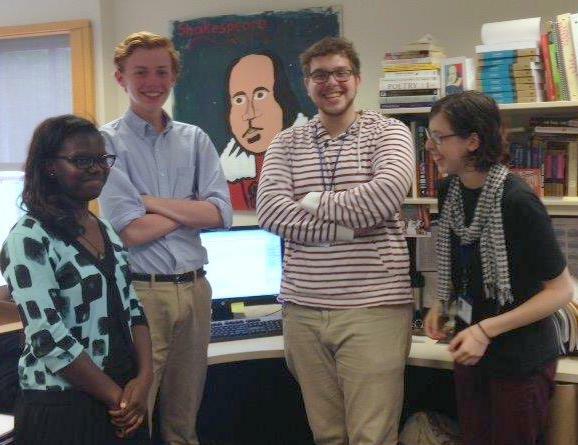 Henry Newton is a Folger Education Intern who is a junior at the Hotchkiss School. Henry has been reading Shakespeare since sixth grade and is a talented athlete. Jack Ludwig is a rising freshman at Haverford College. Jack currently lives in Washington, DC, and has three pets: a bird, dog, and a cat. Jack also is a Helen Hayes Award nominee for Tiny Tim’s Christmas Carol, a children’s adaptation of the Dickens classic, which he co-authored with his father, Ken Ludwig. In February, when the Folger launched its exciting new website, we posted our first set of revamped teaching modules, which include assessment ideas, writing prompts and technology tools (where appropriate), and connections to the Common Core Anchor Standards for English. 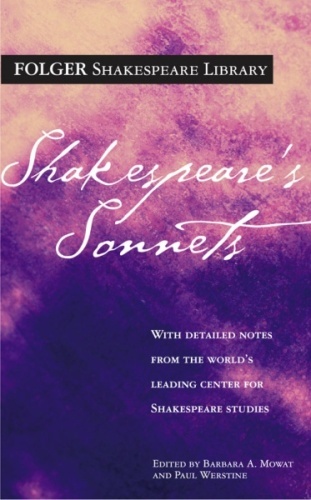 Just this week, we posted another round of great teaching modules: this time, on Shakespeare’s sonnets. If you’re thinking about teaching the sonnets next school year—or maybe even this summer—check out these lessons below, which spring from the work of Dr. Louisa Newlin and Gigi Bradford with the Folger’s “Shakespeare’s Sisters” program, a semester-long seminar on poetry for local high school students. Try these out with your students and let us know how they go! What Do Old Books and Shakespeare Have to Do with DC Teens? According to students at Phelps Architecture, Construction, and Engineering High School, a lot. When Ashley Bessicks’ students finished their Hamlet unit, her 10th grade students at Phelps ACE High School, a DC public school, were on fire for Shakespeare. They wanted to know more about this play and the man who wrote it, so we worked with Ashley, who studied here last summer, to arrange for a special field trip. On June 8th, the students visited the Folger, where they took a tour of the historic building and its current exhibition, performed on our stage, and—this is pretty extraordinary—got up close with some rare books from the collection: Paul Robeson’s promptbook for Othello, versions of Hamlet from 1603, 1604/5, and 1623, John Barrymore’s promptbook for Hamlet, Ortellius’ Theatrum Orbis Terrarum, and more. Here’s what the Phelps students—who are pretty extraordinary themselves—had to say about studying Shakespeare at school and at the Folger this year. We feel so honored to have worked with Ashley and her impressive students! The Hamlet play in class and the trip to the Folger Library was a great experience for me that I believe strongly helped me in numerous ways, from the Hamlet essay I had to write for class to the finals. The play we performed in class gave me a better and clearer understanding of the whole story because I played the role of Hamlet in my scene, and the collaboration with my group team helped me to feel and actually understand the real story. I was able to portray the character of Hamlet in my scene to the best of my knowledge and that helped me understand most of his emotional problems he had and how he made the poor decisions to expose his family’s secrets and to confront his mom. The trip to the Folger Library gave me another view of Shakespeare and why he chose to write his plays and other literary poems the way he did. I learned about Mr. and Mrs. Folger and how their love for Shakespeare encouraged the building of a library and importing different works that he wrote. Finally the whole experience which included the acting, reading, and trip was so fantastic that it made me develop a love for Shakespeare too. Hamlet was an interesting play. It included drama, comedy and heart clenching events. It was remarkable. Not only this, but I’ve learned a valuable lesson from Hamlet. I learned that adversities can either make you stronger or make you weak. When facing adversities true colors are revealed based on how you react to what’s going on. In Hamlet’s case, he became crazy. 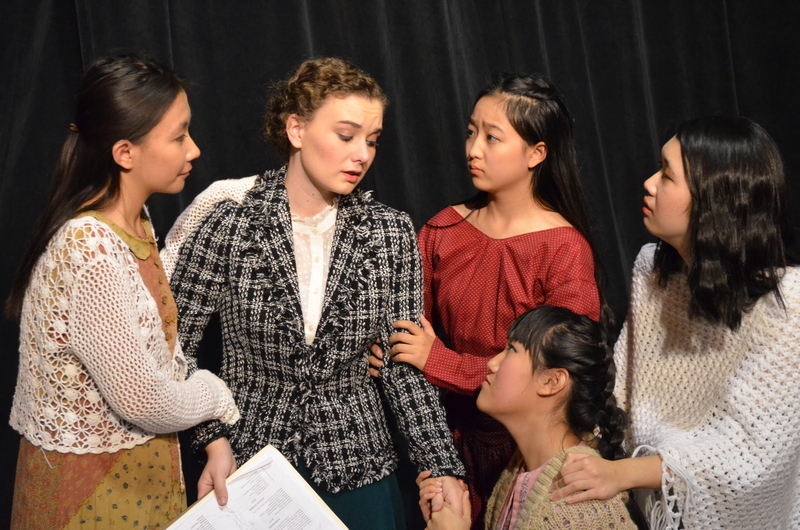 In addition, learning how to act for a play was an unforgettable experience. We engaged in multiple activities and games. We did this to get prepared, and to put on our acting shoes. This was great, especially for someone like me. I’ve never been to a play or acted in one, and to be involved in a famous play and learn techniques to help me act and understand stage actions were amazing. I am glad I had the chance to act out the play Hamlet. My experience with working with the play Hamlet, by William Shakespeare, in Mrs. Bessicks’ class was fun and informational. When we divided up the scenes and started working in groups to pick our setting and our costumes we got into the mind Shakespeare and the characters he created. It makes you think where the scene would take place. And how it would affect the character/s. It opens your mind and gives you a measureless understanding of how each character is feeling and why they are feeling that way. I would recommend that when it comes to teaching plays in high school that working with them like the way we did with Hamlet would benefit all students. Learning this way gave us a chance to be the character and analyze how that character became the person that they are in a specific scene, which in the end then causes us to be more interested in what we are learning. I believe that working with Hamlet this way helped me have a deeper understanding of the play even though I had read it before. Ashley Bessicks is an English teacher in DC Public Schools and an alum of the Teaching Shakespeare Institute 2014. As a “veteran” teacher in my 22nd year of teaching, I sometimes look back at how I used to teach when I first started. It makes me cringe. And the teaching materials I used? Of course, I don’t have any of them because they are outdated and irrelevant. And then there’s Shakespeare Set Free. 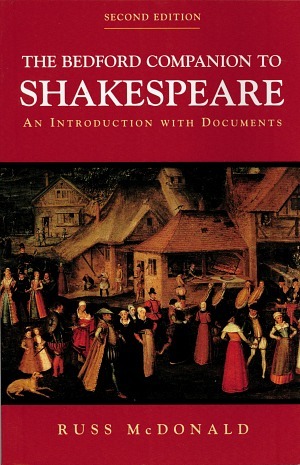 It was published almost 20 years ago and I use it every time I teach Shakespeare (and everything else). 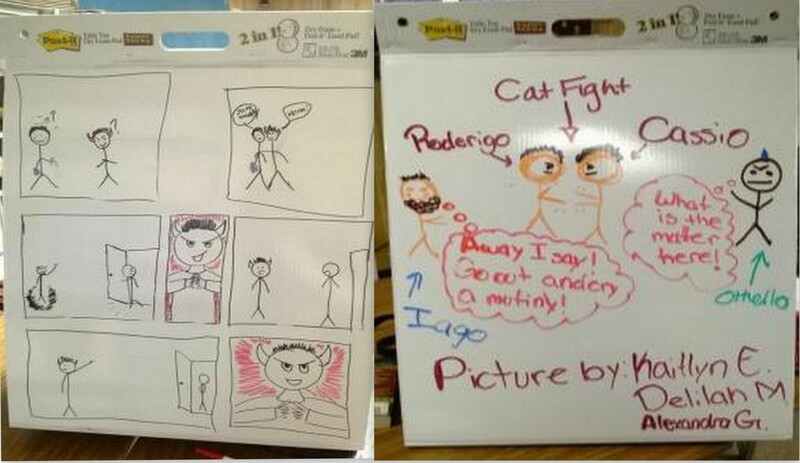 Here’s what I did recently when we studied Othello. We were working Act 3, scene 3 of Othello. This scene is really crucial because it is the climax of the play, but it is LONG. I decided to use Lesson 17 in Shakespeare Set Free–Teaching Twelfth Night and Othello, which broke the scene up into 10 parts and had the students perform their parts in a “relay” style. The students had a great time with this and they really got a full understanding of the action in the scene. This method is great not only for teaching Shakespeare. Reading a novel with a really long chapter? Do a relay! Non-fiction article that is really detailed and drawn out? Do a relay! Short Story Analysis? Do a relay! Finally, I wanted to share some insight about performance in the classroom. As English teachers we are told that students must do lots of low-stakes writing in the classroom to prepare them for high-stakes writing scenarios. I believe the same is true about performance. I regularly allow my students opportunities for low-stakes performance. As a result, they are calm and professional when they have presentations in my class as well as other classes. They also take great pride in what they are able to come up with in a short term performance situation. They love taking pictures (a student took the pictures above) and love taking video of their performances. They find joy and laughter in seeing each other perform and that is what teaching is all about. Greta Brasgalla is a member of the Folger National Teacher Corps and an alumna of the Teaching Shakespeare Institute. She is currently a curriculum specialist and classroom coach at El Dorado High School in El Paso, Texas. Greta also edited the teaching modules on the new www.folger.edu. At the end of the year, no matter how I try to avoid it, I always end up feeling like that frazzled owl in the popular “Teacher at the end of the year” Facebook meme, but this time, I’m not going to worry so much about smoothing my feathers. One lesson I learned while teaching Shakespeare this year: vulnerability is valuable. “Well, do not swear. Although I joy in thee, / I have no joy in this contract tonight” were the first two sentences of the ten-line monologue assigned to me at the 2014 Teaching Shakespeare Institute, and I can type them from memory now because my whole body knows those lines. At TSI, Caleen Jennings and Michael Tolaydo challenged our cohort to know Shakespeare not only as teachers but also as actors. Of TSI’s excellent tripartite program of scholarship, curriculum, and performance, performance sessions were where we (or at least I) felt most vulnerable. Sure, we were used to being our “teacher-selves” in front of large groups, but as teachers, we had to be the calm, collected adults in the room. In our performance workshops, we took new roles: wide-eyed teenage lovers, rowdy friends, fearsome fathers, nagging nurses. We couldn’t describe a character’s feelings the way we normally might when teaching a play; we had to act them—and know the lines by heart! Anyone who walked into those first performance workshops could have recognized my discomfort and fear in the stiffness of my shoulders or the softness of my voice as my composed “teacher-self” fought against the wild sounds and fluid movements that a good acting warm-up requires. But with each workshop I grew louder and more fluid; I left a little more of “Ms. Jochman” behind and picked up another piece of “Juliet,” until, at last, performance day arrived. When a line was flubbed or a word forgotten, we buoyed each other. I felt vulnerable, but so did everyone else, and that shared vulnerability created a safe space to explore Shakespeare in heart and body. I made a goal to create a similar atmosphere in my classroom this year. Rather than starting the year with the safe familiarity of syllabi review, I followed Deborah Gascon’s advice to play with Shakespeare on the first day of school. Students started with stiff shoulders and wary eyes, but by the end of that first hour together, we were all laughing. Before I attended TSI, my students performed for assessment after finishing a play; this year, however, they performed to learn. 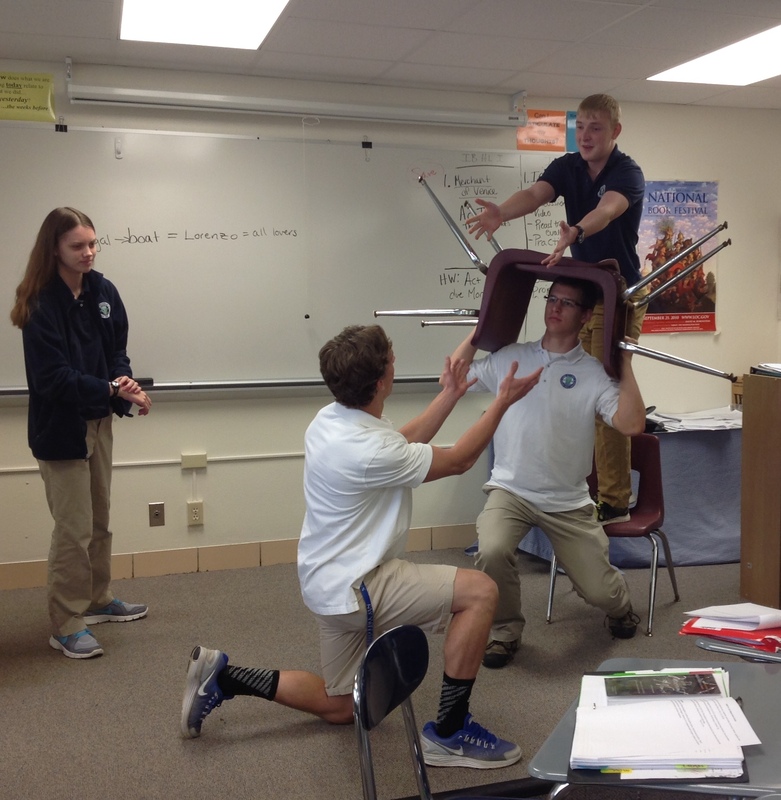 Seniors performed variations of “Get thee to a nunnery” to understand its nuance; juniors used pantomime and tableaux to summarize early scene from The Merchant of Venice; freshmen reddened at the jokes in 1.1 of Romeo and Juliet while they put the scene on its feet. Each performance activity was an opportunity to tackle new words and embarrassing moments together, and as a result, our daily classroom performances built not only understanding of the text but also camaraderie. Shakespeare is a name that makes a lot of students (and teachers!) feel vulnerable. 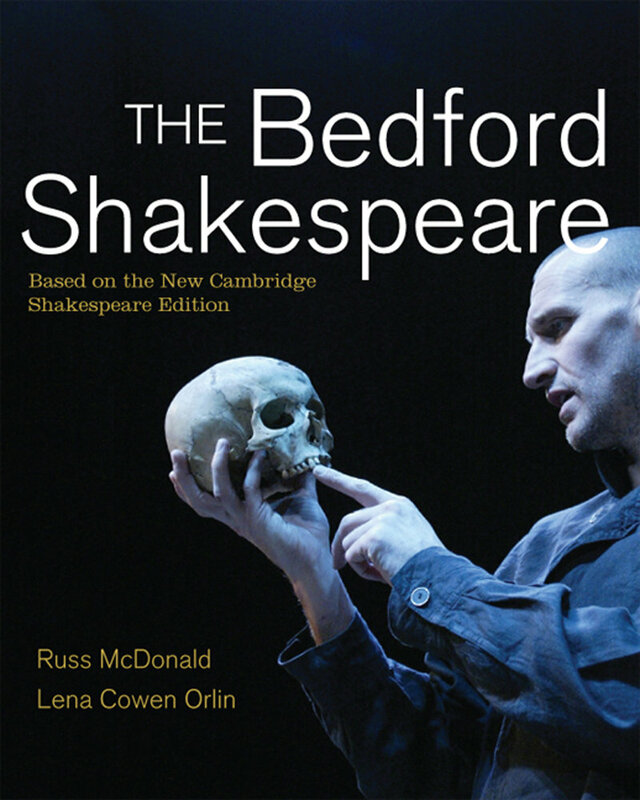 His words might look jumbled to the eye or feel unfamiliar in our mouths, his plots and jokes make us blush, and his work is so esteemed we might not feel worthy of it, but those confusions, embarrassments, or inadequacies are the stuff of Shakespeare. What are soliloquies if not moments of vulnerability? Don’t we laugh most at the fools we see in ourselves? Being a teacher is a kind of performance, a role that can exhaust the player in its demands of invulnerability– round-the-clock professionalism (because you never know who is in the next aisle at the grocery store!) or a façade of constant accuracy. Our students can get lost in the roles they play, too; they wear their own masks to hide their fears. How freeing it is to put those roles aside in favor of Hamlet, Portia, Romeo, or Juliet. When I was a first-year teacher, I equated vulnerability with failure. I didn’t want my students to see when I had butterflies in my stomach, but my experiences with Shakespeare this year have taught me that vulnerability has value in the classroom. As I rehearsed my monologue last summer, I thought I was leaving “Ms. Jochman” behind on the Folger Theatre stage, but I was actually learning how to be a better teacher. When the expectation is to open ourselves to the challenge and make mistakes along the way rather than to simply get the answer right, there is so much more room for learning, for creativity, for camaraderie, for fun. Stefanie Jochman teaches 9th grade and International Baccalaureate English classes at Notre Dame de la Baie Academy in Green Bay, WI. She received her BA in English and Secondary Education from St. Norbert College and her MA in English from the University of Wisconsin Oshkosh. Stefanie is a proud alumna of the 2014 Teaching Shakespeare Institute.